The world's first commercial passenger spaceship moved a step closer to takeoff. The initiator of the project Richard Branson of Virgin Galactic unveiled a new runway at a remote New Mexico spaceport. 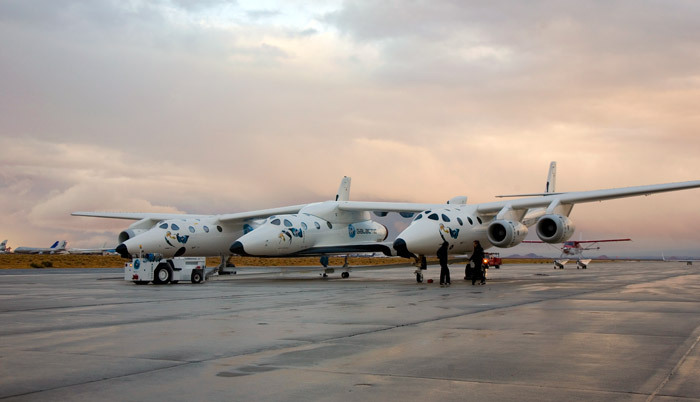 Branson and New Mexico Governor Bill Richardson hosted a ceremony marking the completion of the main runway at Spaceport America, near the town of Las Cruces where the Virgin Galactic project is based. Buzz Aldrin, the second man to set foot on the moon, told a news agency: "I am very happy that civilians will be able to reach space. I'd like to be one of the passengers on these flights, of course." 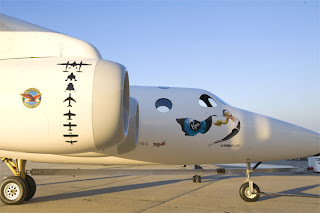 SpaceShipTwo, a six-seat craft which is scheduled to carry paying customers into suborbital space by early 2012, made its maiden flight above the Californian desert in March. Recently the aircraft -- re-named the VSS Enterprise-flew high above the new two-mile(3.2-kilometer) long, 200-foot(60-meter) wide runway in tandem with its mothership, WhiteKightTwo or Eve. The space ship is 60 feet (18 meters) long and its cabin is similar in size to a Falcon 900 executive jet, allowing maximum room for the astronauts to float in zero gravity. Virgin started taking deposits from people wanting to become astronauts in 2005, and has now collected 50 million dollars in deposits from more than 380 people willing to pay the 200,000 dollar ticket price. When it takes off, WK2 will carry SpaceShipTwo to an altitude of around 50,000 feet before dropping the smaller spaceship and allowing it to fire up its rocket motor to blast up to the brink of space. Once it has reached suborbital space, SpaceShipTwo passengers will be able to view the Earth from portholes next to their seats, or unbuckle their seatbelts and float in zero gravity. Branson is also planning to take his mum and dad into space. It is in this Spaceship that the first Indian space tourist designate Santhosh George Kulangara is going to take off to space.